A new website for Ellie’s Danceworks who have decided to take to the floor to spread the word on learning to dance and ongoing social dance events in Kidderminster and Worcestershire. 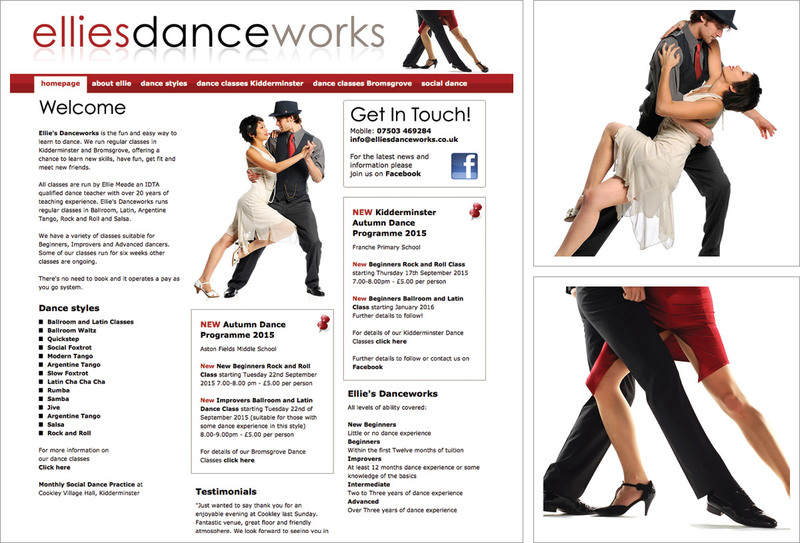 Ellie’s Danceworks’ new website includes information about IDTA qualified dance teacher Ellie Meade, details of classes and dance styles, testimonials from people who’ve enjoyed learning to dance with Ellie’s help and details of upcoming social dance events. With details of fees, venues, contact details and links to Facebook she’s got the whole floor covered. Read more on Ellie’s Danceworks on our Blog.